New and Replacements Boilers by approved Gas Safe boiler engineers in Poole, Bournemouth and Christchurch. Reliable plumbing, heating and gas services and maintenance for all Bournemouth, Christchurch and surrounding areas. Approved Plumber & Heating Engineer Undertaking All Aspects of Plumbing, Heating and New Boiler or Replacment Boilers. Based in Christchurch, Sure Flame Plumbing, Heating and Gas are you local Gas Engineer, Heating engineers and Plumbers in Christchurch. We provide a friendly and reliable services for any Boiler Service, Boiler Installation, Bathroom Installation, Kitchen Installation, Radiator Fitting and all Hot and Cold water suppliers. 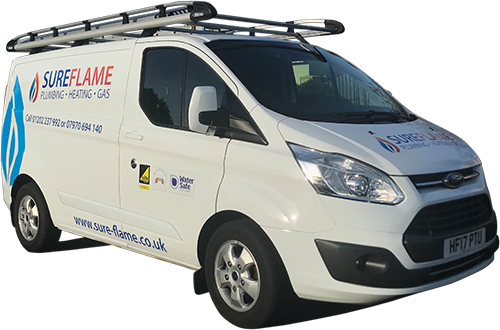 Sure Flame are accredited by and regulated by Gas Safe, Water Safe and are a Water Industry approved plumber and installer in Christchurch, Bournemouth, Poole, New Milton and The New Forest. Sure Flame Plumbing, Heating and Gas are also approved installers and engineers for Worcestor Bosch, Glow Worm and many more. Contact us today for a free no obligation quote and found out how Sure Flame Plumbing Heating and Gas can help you.